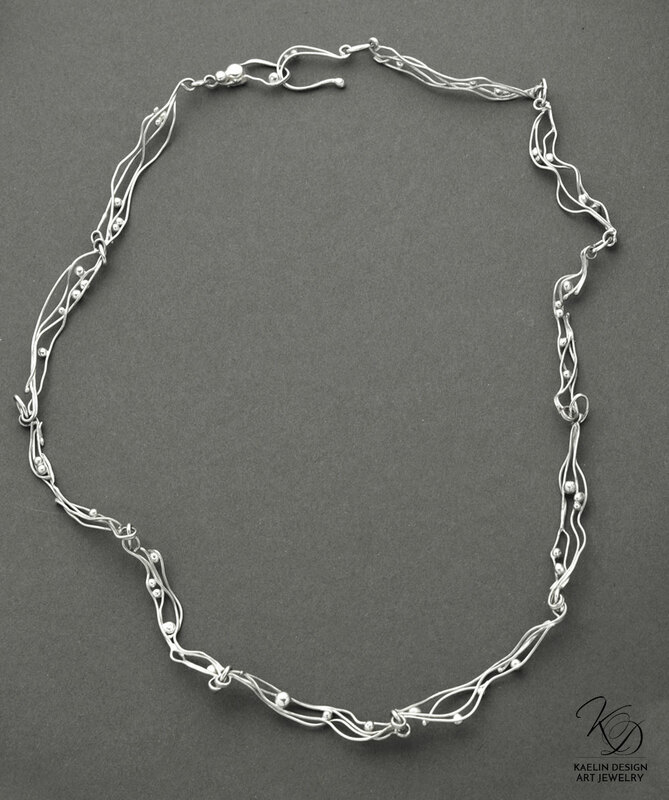 Hand forged in Argentium Silver, this ocean water necklace is inspired by the sea, and the tides that sweep across it. The sea is such a vital part of our lives, responsible for so much in our world. Necessary for sustaining life, necessary for our weather, and for enriching our coastal ecosystems. Without our gorgeous seas... life would be very different indeed. 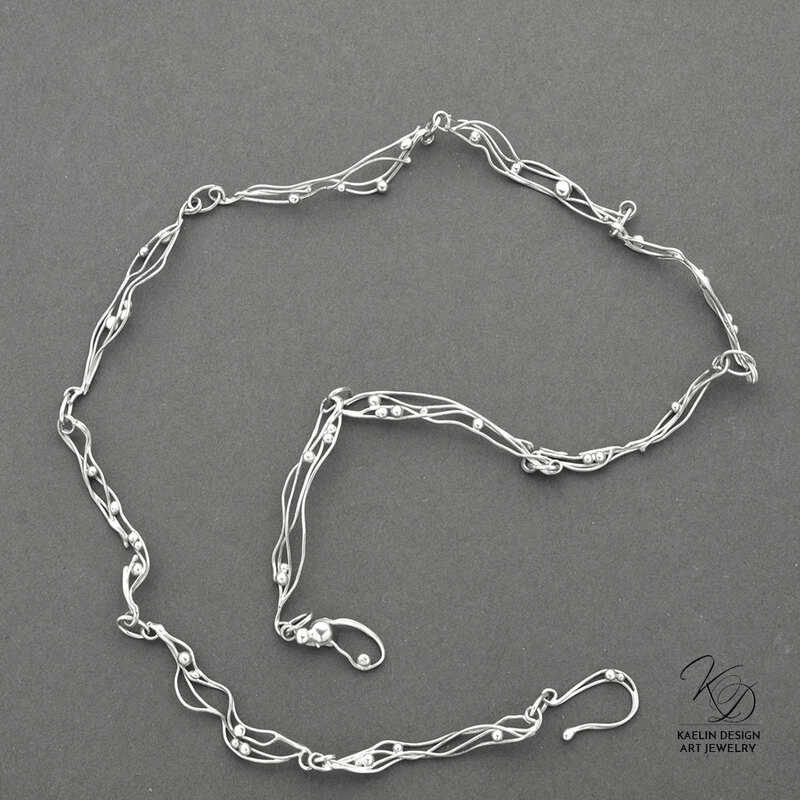 Each link is inspired by the shapes of water and of the waves, and is hand forged in anti-tarnish Argentium Silver for a total length of 20 inches, including the hook and loop clasp. Stamped with my maker's mark, this necklace is one of a kind. The shape of water perpetually fascinates me. All the myriad ways that it curls, shimmers, and sweeps across the world. Each shape uniquely beautiful and a marvel of elegance. Each link is forged in celebration of that beauty, ebbing and swirling, dotted with silver bubbles that sparkle and gleam with every movement.